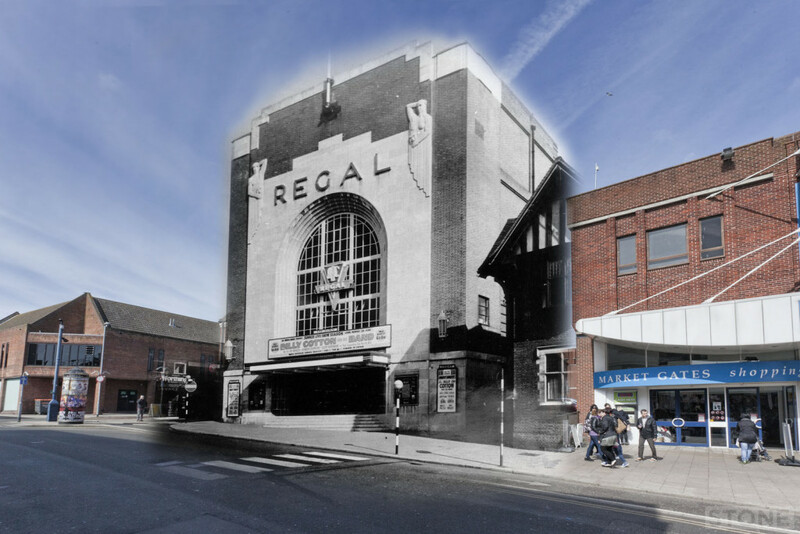 More from the Norfolk at the Pictures rephotography series of Great Yarmouth. 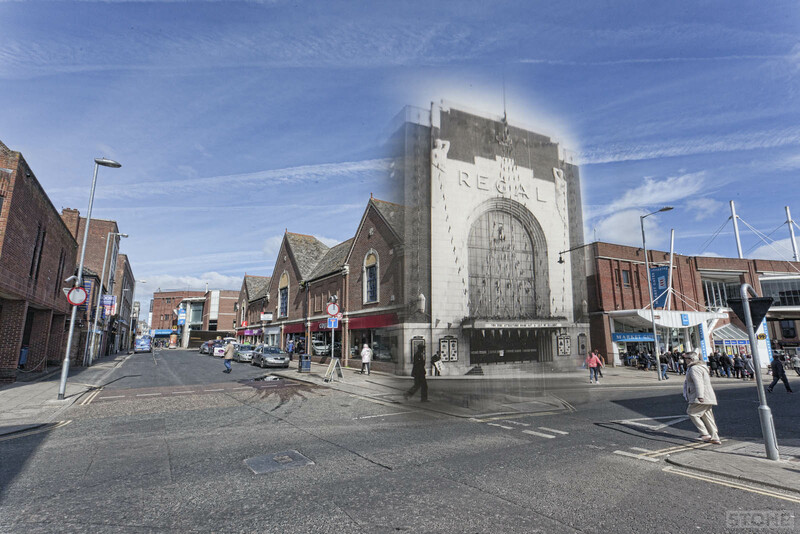 There two here showing the different incarnations of the Theatre and the Regal. 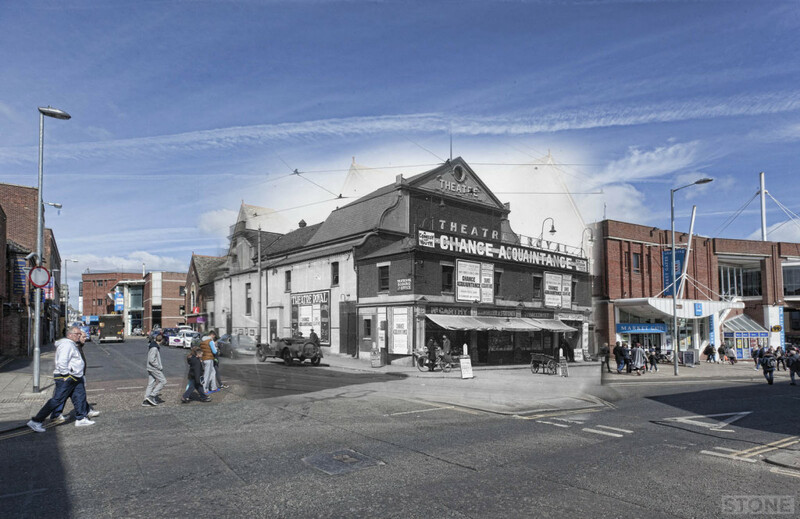 The first one is the Theatre that gives the name to the now empty Theatre Street. It was demolished in 1933 and replaced with the rather lovely Art Deco Regal you see below, this in turn was demolished in 1989 and replaced by high street. It’s now a Costa, I know because I bought a flat white in the foyer of the Regal just before I took these. All copyright Nick Stone. No reuse without permission. 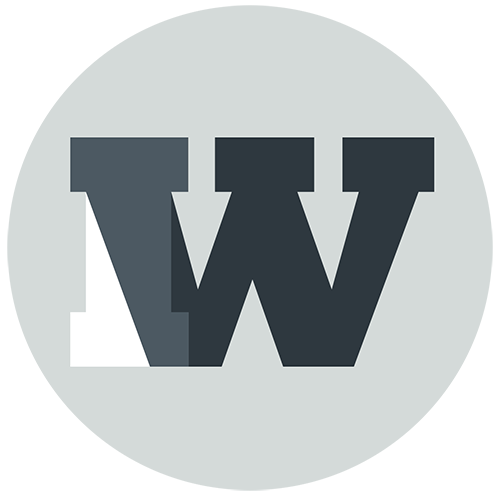 Thanks to original copyright holders for permission to use. Norfolk at the Pictures entry is here for more info.